Dan Smyers and Shay Mooney of Dan + Shay took over the outdoor stage at Jimmy Kimmel Live in Hollywood on July 31. In addition to performing their recent No. 1 hit, “Tequila,” the duo treated fans to a rendition of their upcoming single, “Speechless,” which will ship to country radio on Aug. 6. Penned by Dan Smyers, Shay Mooney, Jordan Reynolds and Laura Veltz, “Speechless” was inspired by Dan’s marriage to Abby Law (May 2017) and Shay’s marriage to Hannah Billingsley (October 2017). The video for “Speechless” features footage from both Dan and Shay’s weddings. 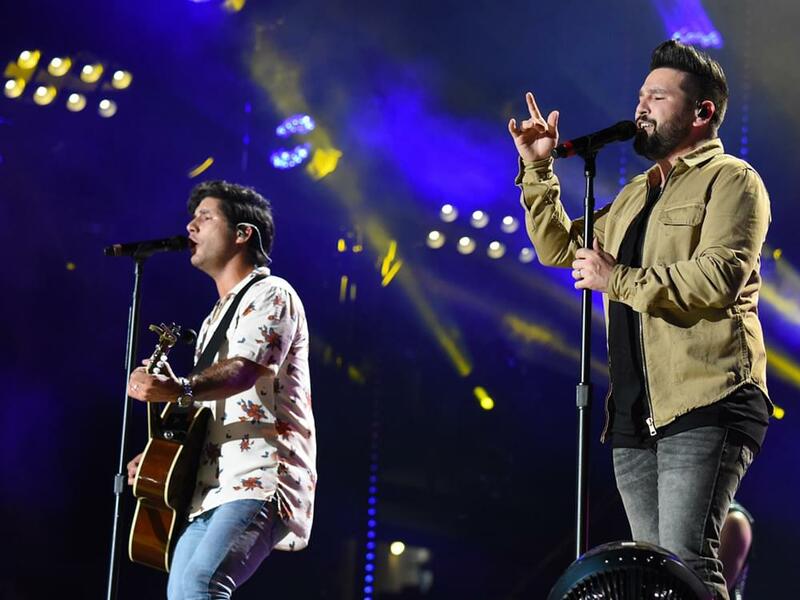 Watch Dan + Shay perform “Speechless” and “Tequila” on Jimmy Kimmel Live.